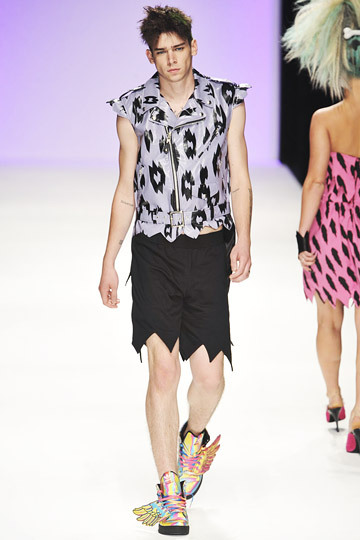 Jeremy Scott: when the concept gets over the wearable. What we’ve seen so far in this blog: young designers willing to reach a massive number of clients for their creations by being competitive thanks to low prices or proposing innovative works and notorious historic brands like Hèrmes trying to add a new playful side to the perception of the maison by its costumers. Now it’s time to analyze “fashion jokes” from another point of view, the one of the designer-artist who just wants to create what he has in his mind, not caring so much about reaching “the crowds”. Perfect example of this attitude is american designer Jeremy Scott, known for his high octane and outrageous designs favoured by pop stars and celebrities. Started in 1997, Jeremy Scott’s line is an example of lowbrow culture transformed into high art. The designs of its lines change drastically every season with the evolution of Scott’s personal thoughts and whims. Karl Lagerfeld referred to him as “the only designer who could ever take over after him when he leaves Chanel” and while Scott can’t be considered “common people’s favourite designer”, his influence on fashion world is getting more and more important. Many of his clients are infact notorious celebrities, who can afford both prices and high extravagance of Jeremy Scott’s creations. Just a few names: Madonna, Rihanna, Beyonce, Justin Timberlake, Gwen Stefani, Beth Ditto, Agyness Deyn, Lady Gaga (and many more others). 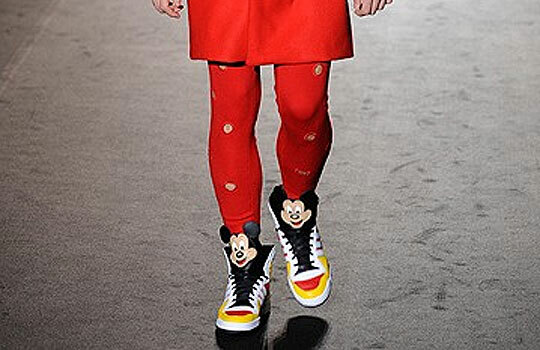 His designs incorporate unconventional looks, including one-legged pants, fast food as inspiration for dresses, and pop icons such as Mickey Mouse. 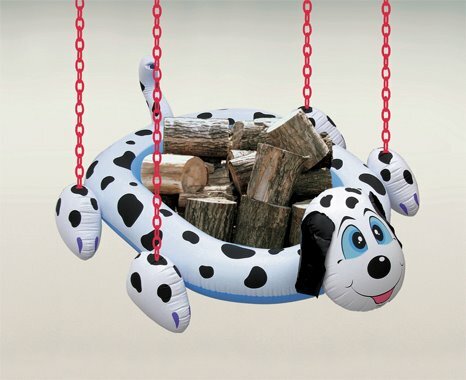 He has been referred to as the Jeff Koons of fashion because of this use of iconic pop cultural references. Jeremy Scott is also known for many collaborations with influent names of fashion and luxury world like Swarovski, Christian Louboutin, Stephen Jones, Linda Farrow, Happy Valley New York, Longchamp, Ksubi and Yoox. In 2003 Scott started a succesful collaboration with sport brand Adidas, with a line called Jeremy Scott for Adidas for which he creates “originals by originals” features apparel and footwear and pieces as his high top with a wing extending from it have become an instant best seller and a cultural Icon for Adidas. Jeremy has also worked closely with the foundation for the late artist Keith Haring for which Jeremy did a shoe and track suit using Haring’s graphic art work with Adidas for a special project called AdiColor. So, what can we learn from Jeremy Scott’s experience? He delivers a good humour irreverence with his collections and we can either admire or hate his audacity, with which he seems to say: be able to laugh about fashion! After all, isn’t fashion “just” a show? Jeremy Scott always put on a great show as his collections always come out strong, with a huge part of creative drama in it, that makes fashion show designer’s personal tableau, with a story to tell. This american designer give people “stories” that he exposes on catwalks, his models are all actors of his plays. If you buy something, don’t you wanna know what’s the idea behind it? This is what Jeremy Scott thinks. Will this idealistic approach to fashion survive mala tempora of economic crisis? This is something that just time will be able to show! ← Karl Lagerfeld & Naco-Paris: if you can’t beat them, join them! I LOVE the “STYLE” dress!!!! Thanks,B to let me discover this fashion “goodies”!!!!! Thank you for making me know Jeremy Scott! 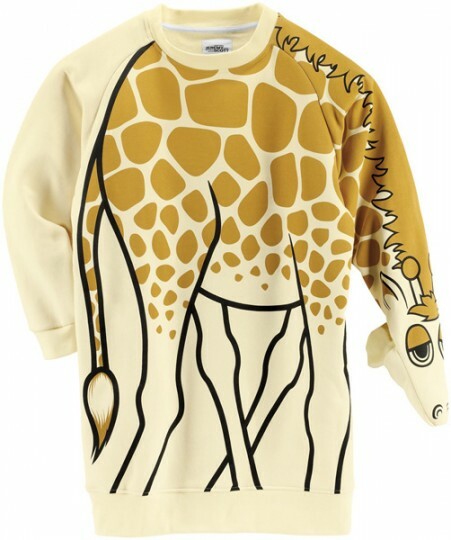 I love the giraffe’s sweather and the “style” dress! P.S: the Keith Haring&Adidas video rocks! ooo Mati I just found your comment!